Representatives of the GPS industry presented to members of the Federal Communications Commission (FCC) laboratory evidence of interference with the GPS signal by a proposed new broadcaster on January 19 of this year. The meeting and subsequent filing did not dissuade FCC International Bureau Chief Mindel De La Torre from authorizing Lightquared to proceed with ancillary terrestrial component operations, installing up to 40,000 high-power transmitters close to the GPS frequency, across the United States. On January 26, the FCC waived its own rules and granted permission for the potential interferer to broadcast in the L Band 1 (1525 MHz–1559 MHz) from powerful land-based transmitters. This band lies adjacent to the band (1559–1610 MHz) where GPS and other GNSSs operate. The FCC called for further testing to be led by LightSquared and completed by June 15. Prior to the decision, representatives of the U.S. GPS Industry Council and GPS manufacturers Garmin and Trimble presented “Experimental Evidence of Wide Area GPS Jamming That Will Result from LightSquared’s Proposal to Convert Portions of L Band 1 to High Power Terrestrial Broadband,” to five members of the FCC’s Office of Engineering and Technology, including its chief, two members of the FCC International Bureau, one from the Public Safety and Homeland Security Bureau, and two from the Wireless Telecommunications Bureau. A full PDF of “Experimental Evidence of Wide Area GPS Jamming” is available. The document conveys results of testing on a common portable consumer automotive navigation device and on a common general aviation receiver. The consumer GPS device began to be jammed at a power level representing a distance of 3.6 miles (5.8 kilometers) from the simulated LightSquared transmitter. The consumer device lost a fix at 0.66 miles (1.1 kilometers) from the transmitter. The Federal Aviation Administration (FAA)-certified aviation receiver began to be jammed at a distance of 13.8 miles (22.1 kilometers) and experienced total loss of fix at 5.6 miles (9.0 kilometers) from the transmitter. During the laboratory testing, GPS signals were simulated by a Spirent GSS6560 GPS simulator, representing a constellation of 31 GPS satellites, the current configuration. LightSquared’s signal was simulated using a Rhode and Schwartz SMIQ-03S signal generator with digital modulation, amplified to achieve the relevant signal strengths. Full technical specifications and parameters are described in the Experimental Evidence document linked above. In its decision document on January 26, the FCC not only authorized LightSquared to proceed, it turned up its nose at assertions that the entire process had been conducted in near-stealth mode as well as on an accelerated track. LightSquared was established in mid-2010 by “an experienced team of global telecommunications executives and investors.” From 2001 to 2005, Lightsquared executive vice president Jeff Carlisle served as deputy chief and then chief of the FCC’s Wireline Competition Bureau. The Galileo Test and Development Environment (GATE) in Berchtesgaden, Germany, officially opened on February 4. The system operator, IFEN GmbH of Poing, Germany, jointly with the German Federal Minister of Transport, Building and Urban Development, announced the opening for use by commercial and organizational entities seeking to test equipment with the coming Galileo signals. GATE was developed on behalf of the German Aerospace Center (DLR) with funding by the German Federal Ministry of Economics and Technology. The test area extends across a valley of approximately 65 square kilometers, southeast of Munich, where antennae atop surrounding peaks broadcast the various Galileo signals. Technical details and specifications of the test environment are at www.gate-testbed.com. 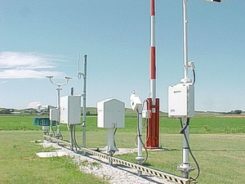 The GATE infrastructure is capable of transmitting the Galileo Open Service, the Safety-of-Life Service (functional, with certification as a next step), the Commercial Service, and a Public Regulated Service dummy signal. The GATE system upgrade has been further extended to also support user integrity testing, simulating simple alarm-triggering events on the system/satellite level, supporting GPS and GATE/Galileo dual-constellation receiver-autonomous integrity monitoring (RAIM), individual user integrity test scenarios, and tests of receivers with different RAIM functionalities. As this magazine goes to press, a Soyuz rocket carring a new GLONASS-K1 satellite has moved to the Plesetsk Cosmodrome launch pad for a scheduled blast-off on February 24. Assuming all goes well, the satellite’s eventual transmissions will include Russia’s new CDMA signal on a GLONASS L3 frequency. Further information and photos will be posted to www.gpsworld.com/glonassk. In Other Developments. Roscosmos, the Russian space agency, said it lost contact with a military satellite launched on February 1, a painful incident following the failed launch of three GLONASS-M satellites in December. The Geo-IK-2 satellite, designed for geodetic studies, remains in its transfer orbit because the upper stage failed to restart for its second circularizing burn. Based on the GLONASS-M bus, Geo-IK-2 carries laser reflectors, GPS/GLONASS receiving equipment, and an altimeter. Communications with the satellite have been re-established but it is not clear how useful it will be in its current orbit. The European Space Agency announced that the first two Galileo in-orbit validation (IOV) satellites will rise on August 31. They will ride aboard a Soyuz-ST-B rocket from the Kouros, French Guiana, Space Center. 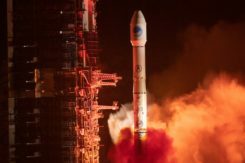 There was no word about the third and fourth IOV satellites, which had at one point been scheduled for an October launch, at a time when the first two were penciled for a June launch. JAVAD GNSS has announced that, with modified firmware, all of the company’s receivers can now track the Chinese Compass B1 signal. 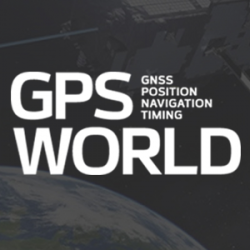 The company states that Compass is the sixth GNSS system that its receivers can track, joining GPS, GLONASS, Galileo (the two GIOVE in-orbit validation experimental satellites), SBAS (the European Geostationary Navigation Overlay Service or EGNOS), and Japan’s Quasi-Zenith Satellite System (QZSS). JAVAD GNSS made available several plots, shown here. One is a log file, collected on JAVAD’s TR_G3TH board in Moscow during the last weekend in January, reporting up to 26 satellites from the various systems, locked simultaneously. Also provided below are several other plots showing the new capability. The company further stated that it will add Compass tracking to almost all receivers in near future, as a firmware upgrade.